Don t let a little rain put a damper on your style. 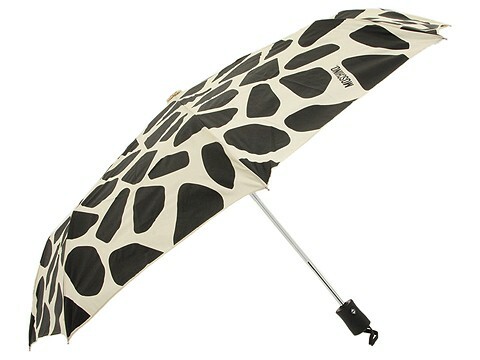 This umbrella s lovely giraffe print is neutral enough to work with almost any outfit. Opens and closes with a push of a button. 10 when compacted. 21 when fully extended. 38 in diameter. 100% polyester. Comes with a chic carrying case for when the sunshine returns. Made in Italy.